Eradicator Mold Remediation Services is aware mold affects the property value of a home. We are also aware that your property is special and you have worked to make it valuable by improving it, making upgrades, and maintaining its overall aesthetic and functional value. Like most investments, you envision that it will continue to increase in value, which is why you do everything you can to ensure that it is in the best shape possible. However, there is one lurking danger that may bring the property value of your home or business down: MOLD. Undetected or known cases of mold can cause your property to lose value. It is important to seek the services of a certified mold remediation company to help eradicate the problem, one that will competently remove the mold, and inform of suggestions to prevent the abnormal regrowth of mold. Ultimately this will get your property value back to or above par. Here at Eradicator Mold Removal Services our mold remediation specialists will evaluate your property to find the root cause of the problem. We are aware that mold can hide in plain sight, and what may seem like a minor issue could be a much larger one. Once the source and depth of the mold issue is identified, our mold removal team will use certified equipment and EPA safety precautions to remove the mold and any damaged material. Once Eradicator’s mold removal team has removed the items affected by mold we will make suggestions to prevent the return of abnormal mold activity (this may include better windows or dehumidifiers to keep moisture in check). 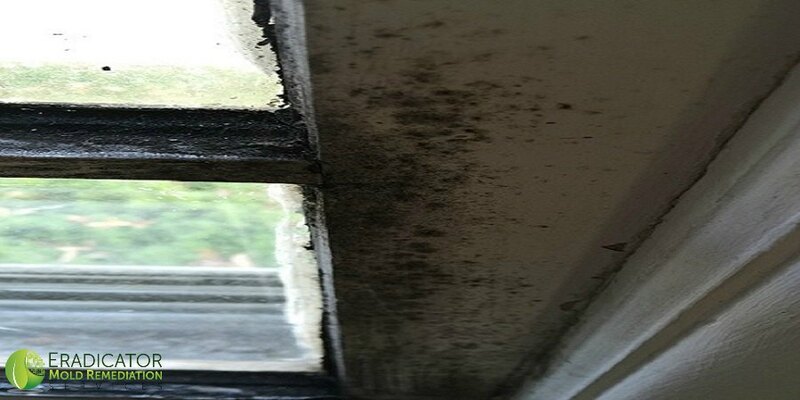 Since mold grows in moisture rich environments once it’s removed applying these suggestions will help prevent its return and therefore you can rest assured that your short-term investment will result in a better return on the value of your overall property and assist in maintaining the value of your prized investment.